McDONALD, JAMES, lawyer, politician, and judge; b. 1 July 1828 in Bridgeville, N.S., son of Alexander McDonald and Janet Fraser; d. 3 Oct. 1912 in Halifax. James McDonald’s parents moved to London, Upper Canada, in 1834, but after a few years returned to Nova Scotia, settling in New Glasgow, where James completed his formal education at the high school. 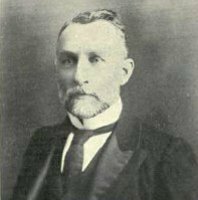 He followed the route of ambitious young men, first teaching school for a couple of years, at Addington Forks in Antigonish County, and then articling in law, in the Pictou office of Martin Isaac Wilkins*; he was admitted to the bar in 1851. Tall and well made, he was a presence in court, and argued his cases with considerable skill and fluency. Like Wilkins, he was a good hand at convincing juries, and sympathy for the underdog went through much of his law. McDonald married Jane Mortimer, the stepdaughter of his patron, on 23 Jan. 1855. They were to have four sons and four daughters; two of the daughters would marry sons of Sir Charles Tupper, Charles Hibbert* and William Johnston. 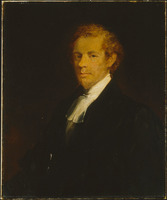 McDonald began political life as a reformer, being an anti-burgher Presbyterian. But Wilkins was a tory and by the late 1850s McDonald had become one. Under that banner he was elected to the House of Assembly in 1859, though the government was eventually formed by the reformers, after a narrow victory. 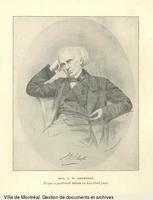 However the tories won the election of 1863, and McDonald was then appointed chief railway commissioner of Nova Scotia. 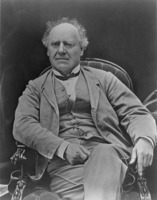 Liberal leader Joseph Howe* had always supported government construction of railways, but James William Johnston*, the tory premier, did not, preferring private construction with government subsidies. 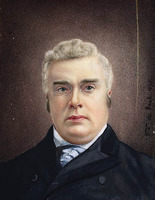 Johnston’s tory successor as premier, Charles Tupper, shared Johnston’s views, and was in no hurry to indulge Pictou County, second largest urban centre in the province, with a railway from Truro. 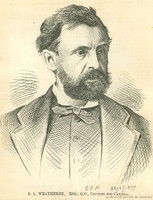 McDonald of Pictou persisted, and after he succeeded Isaac LeVesconte* as financial secretary in 1864, pressed the railway in cabinet and won. In the assembly, with hardly a blush, Tupper vigorously supported government construction of the railway, as if the policy had been his own. It was typical Tupper. McDonald would remain in office until 1867, when he resigned to fight the first dominion election. McDonald went on a trade mission to the West Indies, Mexico, and Brazil from January to April 1866, but he stood firmly with Tupper on confederation. He was defeated in the 1867 dominion election, as were all the pro-confederation candidates in Nova Scotia (save Tupper), and was re-elected to the Nova Scotia assembly for Pictou County in 1871. By this time he was a well-established Halifax lawyer, having moved his practice in 1863. 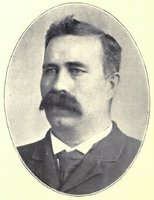 In 1872 he was successful in the dominion election in Pictou. McDonald was liked by Prime Minister Sir John A. Macdonald* at once, judging by McDonald’s being appointed to the parliamentary committee of five to investigate mp Lucius Seth Huntington*’s charges against the government in the Pacific railway contract. McDonald was eloquent enough, though not as good as Tupper at defending the indefensible. 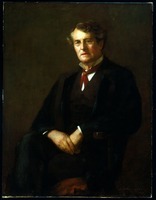 He remained Sir John’s staunch supporter through thick and thin, which meant Macdonald’s years as leader of the opposition, 1873–78. 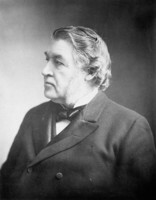 Sir Charles Tupper, who thought of himself as leader of Nova Scotian Conservatives, dominion and provincial, was then living in Ontario, and the role largely devolved on Jim (as he was known locally). 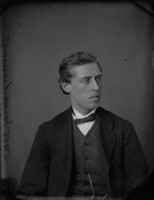 In September 1877 McDonald urged John Sparrow David Thompson* to enter provincial politics and was looking for a Catholic constituency for him. McDonald made no distinction between dominion and provincial politics so far as party was concerned, and believed that the first step towards returning more Nova Scotian Conservatives to Ottawa was to get control of the legislature in Halifax. 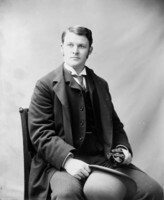 After Conservative victories, at both levels, in 1878, McDonald became minister of justice in the new Macdonald government. He was a minister who, so he said, “never sought personal favours,” though his son Martin was put in line for a position as dominion land agent in western Manitoba. In the House of Commons he had learned to spar with Edward Blake; when in opposition, he could choose his occasions, but as minister his role was different and he seemed harassed by his opponent. Perhaps he found Blake, who became Liberal leader in 1880, too clever for him, or the justice portfolio required more time and energy than he was prepared to give. Certainly he was not the lion he had seemed when he first came to Macdonald’s attention in 1873. Hector-Louis Langevin*, Macdonald’s Quebec lieutenant, considered him a failure in federal politics. In April 1881 in Halifax, McDonald was sent for by Sir William Young*, the chief justice of Nova Scotia, who said he was resigning at once. Sir Charles Tupper, then minister of railways and canals, seems to have had the final recommendation to Macdonald on such senior appointments in Nova Scotia, and he was away in British Columbia. As McDonald put it, “The matter will I presume have to stand till Tupper returns, but Young led me to understand he could not withhold his formal resignation so long.” McDonald’s appointment was, however, effected in the next six weeks, being dated 20 May 1881. As was customary, he was offered a knighthood, but he refused, saying he was too poor. He was the first chief justice of Nova Scotia to do so, though successors accepted. When McDonald came to the Supreme Court, it badly needed new blood. Some 15 or 20 important civil cases were in arrears. Two of the judges were not pulling their weight; William Frederick DesBarres was 81, and John William Ritchie*, though able enough, was unwell at age 73. McDonald was just under 53 years old, and brought to the court energy, affability, and courtesy, though when contradicted he could be outspoken and noisy. Judges more learned than he there have certainly been, but few more determined to do what was just. His weakness was his sympathy with litigants, and he would strain the law to the breaking-point to save someone. Another weakness, which J. S. D. Thompson noted when he came to the court in 1882, was that McDonald’s law was old-fashioned. He never seems to have felt it his duty to read law assiduously. He also lacked, in Thompson’s opinion, what every first-class judge must have, patience, a retentive mind that cared for detail. McDonald had Gaelic and one trial in Baddeck was conducted wholly in that language. His many friends and genial ways made going on circuit a positive pleasure for him, and he continued to do so until a few years before he retired in 1904, at the age of 76. His home on the Northwest Arm, Blinkbonnie, was comfortable and he had a pleasant retirement there. In poor health, however, after 1910, he died at home on 3 Oct. 1912. He was buried beside his wife (who had died in 1902) in Fairview Cemetery. [There is no substantial collection of James McDonald papers. A small one is available at PANS in MG 1, vols.567 and 1732. The Sir John A. Macdonald papers at NA, MG 26, A, 230, contain a number of useful letters from James McDonald mainly from 1879 to 1881. McDonald’s marriage notice appears in the Acadian Recorder, 3 Feb. 1855. P. B. Waite, “McDONALD, JAMES,” in Dictionary of Canadian Biography, vol. 14, University of Toronto/Université Laval, 2003–, accessed April 20, 2019, http://www.biographi.ca/en/bio/mcdonald_james_14E.html.